There's just something special about the writing of Jill Eileen Smith. Other than popular biblical fiction writers of the past that I loved - Lloyd C. Douglas and Taylor Caldwell, for example - I haven't enjoyed much in this genre today until I tried Jill's books. She writes in an authentic and charming way that holds true to the biblical account while fleshing out the "what might have happened" areas in a moving way. Even readers who don't particularly like biblical fiction would enjoy the historical aspect of Jill's writing. Although not a lot is revealed about Rahab in the Scriptures, almost everyone knows of how a prostitute saved Israel's two spies, resulting in the later saving of her family as the walls of Jericho crashed around her. Through what must be tons of research and her knowledge of this culture, especially of the way women were treated, Jill put forth an interesting and plausible way in which Rahab could have become a prostitute and how, rather than enjoying the lifestyle, she only accepted it as a way of survival for herself and her family. Time is given to both Rahab's background and life leading up to the visit of the spies, as well as to her new life with the Israelites. Secondary characters are easy to relate to and I especially enjoyed Tendaji, Salmon, Joshua and his wife, Eliana. We also see the sharp contrast between Israel and the pagan Canaanites, the strict obedience God demanded, and the way Rahab struggled with God's punishment brought on Achan and his household . . . "Why would God save a foreigner and let His own die?" I found the second half very moving, as Rahab lives with the Israelites under Joshua's protection and begins to learn the ways of God. For me, as Rahab comes to understand and accept the concepts of grace, mercy, and sacrifice of innocence for guilt, it was like seeing all this anew, with fresh eyes - sin that required the sacrifice of innocent blood, tempered with God's mercy and grace. One of the most moving scenes was when Salmon sacrificed a lamb on their behalf. 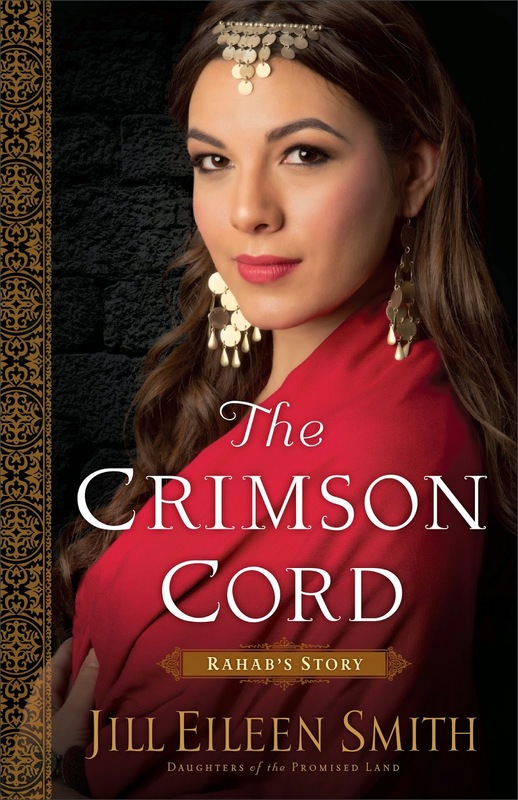 The most beautiful thing about The Crimson Cord is the symbolism of scarlet/crimson and how, from the scarlet cord used to save the spies and later Rahab's family, to the blood of a sacrificial lamb, everything points to Christ's ultimate sacrifice. And what a compelling message for us today - that God is in the business of redeeming, even those thought most unredeemable. I highly recommend The Crimson Cord to all readers. 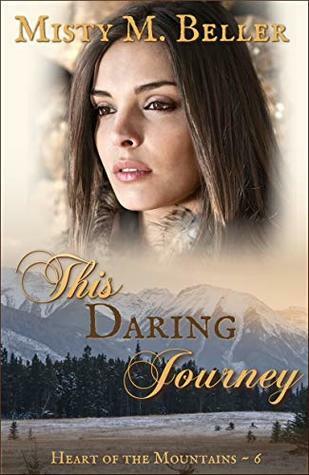 Jill has also done a great job in creating a Pinterest board that gives a wonderful sense of character and setting for this story, so be sure to check it out by clicking "See on Pinterest" below. Follow Jill Eileen Smith's board The Crimson Cord on Pinterest. 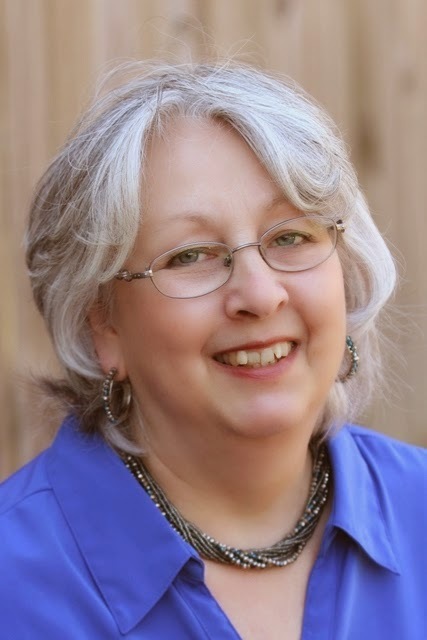 Jill Eileen Smith is the bestselling author of the Wives of King David series, the Wives of the Patriarchs series, and The Desert Princess, first in the Loves of King Solomon series. Her research into the lives of biblical women has taken her from the Bible to Israel, and she particularly enjoys learning how women lived in Old Testament times. Jill lives with her family in southeast Michigan. 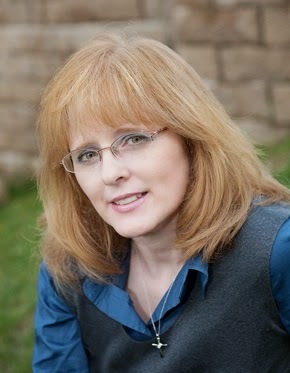 Connect with Jill online at jilleileensmith.com, Facebook, Twitter, Pinterest, and Goodreads. The Crimson Cord can be purchased online at CBD, DeeperShopping, Amazon, and B&N. Thank you to Jill Eileen Smith and Revell Publishing for providing a copy of this book in exchange for my honest review. Paper Hearts is the first of Courtney Walsh's books that I've read, and to be honest, I was initially drawn by the charming cover. As a result, I discovered a most satisfying and delightful story, filled with humor, populated by endearing characters, and with a charismatic setting - and am now a Courtney Walsh fan. 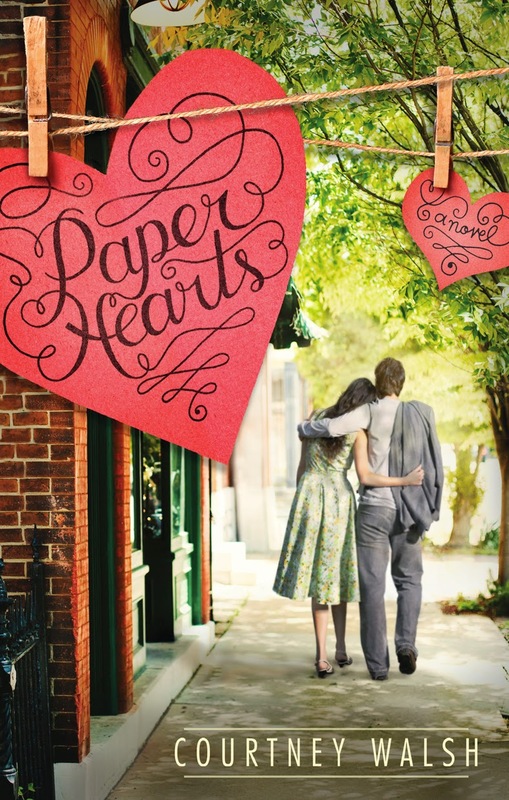 Paper Hearts has an appealing cover, a town obsessed by love for a setting, and valentine messages scattered throughout, yet romance isn't the central theme. It's more about personal relationships and struggles with guilt, anger, hurt, and unforgiveness. Thinking I was in for a light, fluffy read, I was pleasantly surprised at the depth and emotion within. I love it when setting almost becomes a main character, and that is exactly what happens here. 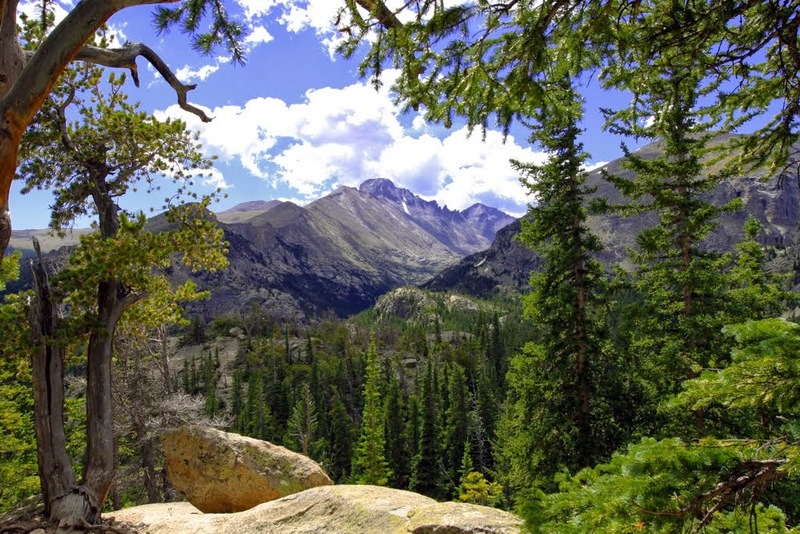 Loves Park, Colorado - a small town nestled in the Rocky Mountains that is literally obsessed with romance, a "prime location for weddings, honeymoons, and those looking to rekindle what they once had." Small towns where everyone knows everyone else aren't always as idyllic as they sound, but I think the good wins out in Loves Park. Another major character is actually a group of five eccentric ladies called the Valentine Volunteers and I don't think anyone could help but fall in love with them. Ursula - flamboyant, outspoken, and bold - plays a big part in this story, and I can so identify with her comment, "At some point you should be old enough to make the rules up yourself." I found Jacob and Abigail easy to relate to with their imperfections, brokenness, and attempts to cope by staying busy. I'm not sure how realistic it was for Abigail to care for the man who was forcing her out of the book store that meant everything to her, but that didn't keep me from enjoying their growing relationship. It was touching to see them learn to relinquish control and learn the value of putting the other person's needs before self. "You make me want to live again" . . . These words written on a valentine are what Jacob and Abigail brought out in each other. As with a lot of fiction, I felt there could be a little less rehashing of thoughts at times, and I wanted Jacob to be strong and stand up for Abigail rather than go along quietly with his totally unlikeable business partner - but that eventually changes and this story has so much going for it that I was completely won over. of forgiveness and pain and joy and challenges and happiness. All these things make up a love story." I think the strength of this story comes from the valentine messages sent by one special couple to Loves Park through the years - messages that focused on positive aspects, what they loved and appreciated about their spouse. This should be a challenge to all of us, for I can't help but think what an impact there would be in any relationship if we quick to forgive, focused on positive qualities rather than negative, and communicated those feelings in a meaningful way. I greatly enjoyed Paper Hearts and will be reading more from Courtney Walsh. The ending is quite satisfying, but leaves an opening for further development. I really hope this becomes a series, for there are secondary characters that simply beg for their own story. And who wouldn't want to see more of the Valentine Volunteers?! You've got to watch this cute trailer . . .
Courtney Walsh is a novelist, artist, theatre director, and playwright. 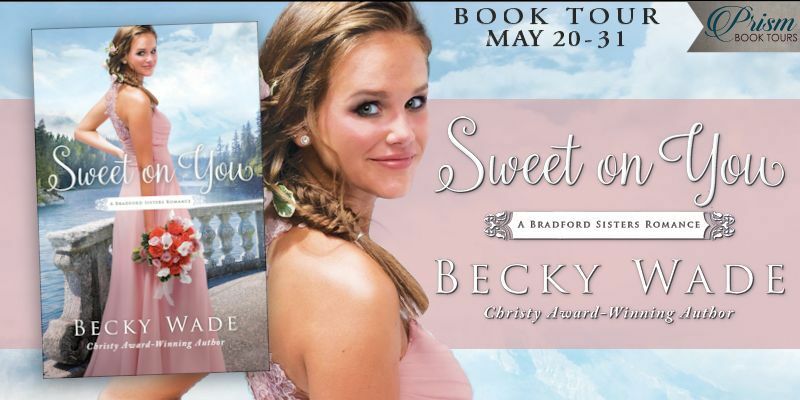 Her debut novel, "A Sweethaven Summer," hit the "New York Times" and "USA Today" e-book bestseller lists and was a Carol Award finalist in the debut author category. 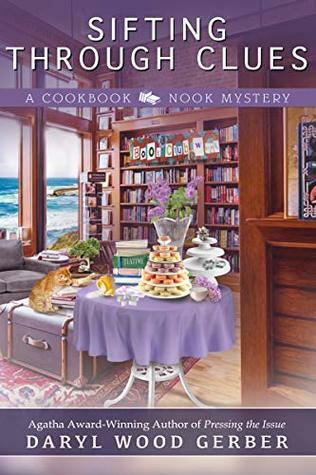 She has written two more books in the Sweethaven Summer series, as well as two craft books and several full-length musicals. Courtney lives in Illinois with her husband and three children. Visit Courtney online at www.courtneywalshwrites.com, Facebook, Twitter, and Pinterest. Paper Hearts can be purchased online at CBD, DeeperShopping, Amazon, and B&N. Thank you to Tyndale House for providing a copy of this book in exchange for my honest review. It is an honor to welcome Meg Moseley back to The Power of Words! Meg lives in my home state of Georgia and writes southern fiction of the highest quality, but the appeal of her writing transcends that specific genre. 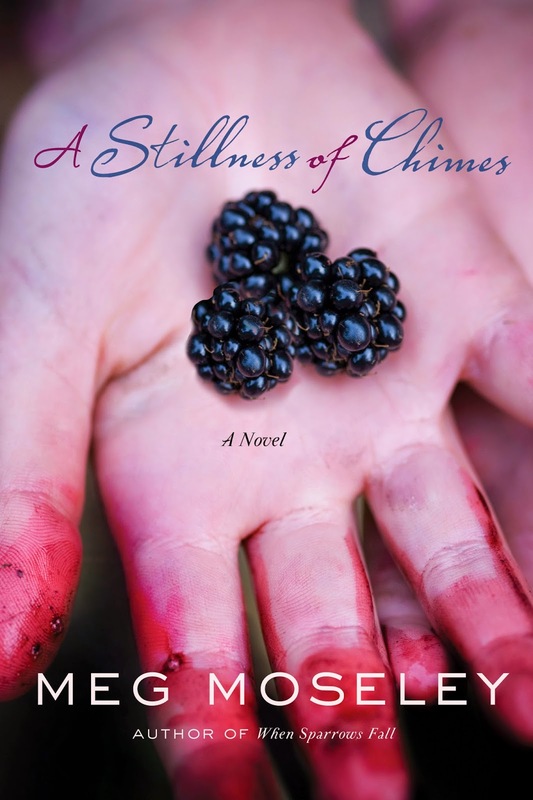 Meg is a wordsmith - and her latest book, A Stillness of Chimes, has a hauntingly beautiful quality. When I compiled my 2014 Best of the Best list, I had no hesitation in placing A Stillness of Chimes on it (click on title for my review). You can also click here to see my interview with Meg last year. 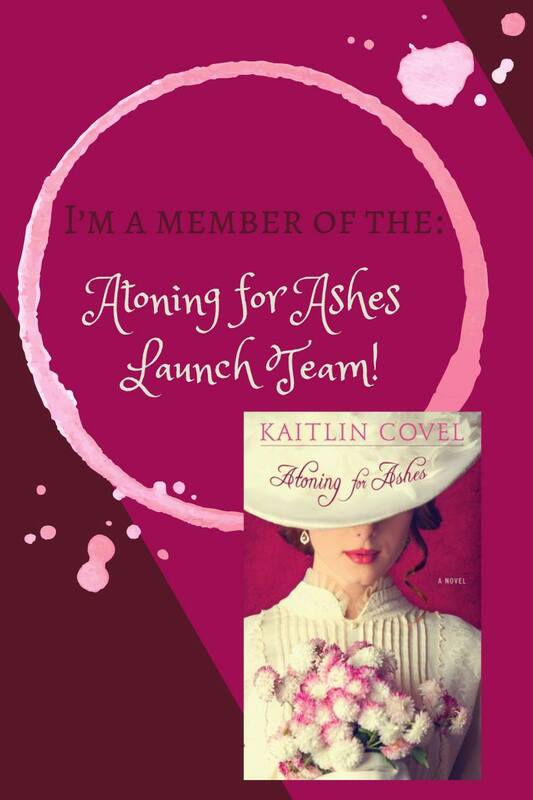 One of you will receive a copy of this book from Meg, details at the end of this post. Now enjoy as Meg shares about A Stillness of Chimes and what it means to her . . .
Meg: A Stillness of Chimes tells the story of a young woman who’s shocked to learn that the beloved father she’d thought dead might have faked his death and slipped away to the Blue Ridge Mountains near her childhood home. Her quest to learn her father’s fate reveals almost more truth than she can handle. I think the heart of this story is that even imperfect and damaged people can demonstrate the kind of love that asks us to lay down our lives for our friends. That “greater love” won’t necessarily look heroic, but real heroes don’t worry about appearances. In writing A Stillness of Chimes, I discovered my voice as a writer, as well as some themes that will always be important to me. I’m not one of those writers who can churn out a book a year, so my current focus is to find a new story that will be worth pouring my heart and soul into, for as long as it takes. Carole: Meg, I'm glad that you don't try to turn out a book each year, for surely that pressure affects an author's quality of writing. I consider you to be a gem in the Christian fiction market and am eager to see the next story that God places on your heart. Thank you so much for being here, Meg. To enter the drawing for A Stillness of Chimes, please leave a comment or question for Meg. If you've read any of Meg's books, please share your thoughts. BE SURE TO LEAVE YOUR E-MAIL ADDRESS in a safe format - [at] and [dot] - for the drawing. If you're willing, it's also helpful to share about this giveaway on Facebook and/or Twitter. 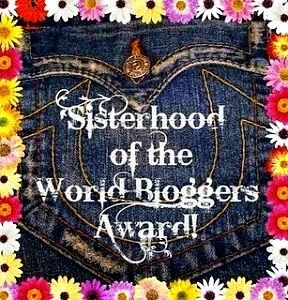 "Likes" on my Facebook page, ThePowerofWordsBookReviews, are greatly appreciated, as are followers on Google+, Pinterest, Twitter, and this blog. Contest ends at midnight PST on Wednesday, March 4. Winner will be chosen by Random.org and contacted by e-mail. Respond within 48 hours of notification or another winner will be chosen. Success too often comes with a price. Juliet never imagined it could be so high. With its expressive prose, rich characterization, and compelling storyline, Where Rivers Part by Kellie Coates Gilbert is an exquisite novel on many levels, and I highly recommend it, particularly to all who enjoy contemporary drama or women's fiction. With her debut novel, Mother of Pearl, followed by the first Texas Gold novel, A Woman of Fortune (click on titles for my review), Kellie cemented her place as a writer of quality. 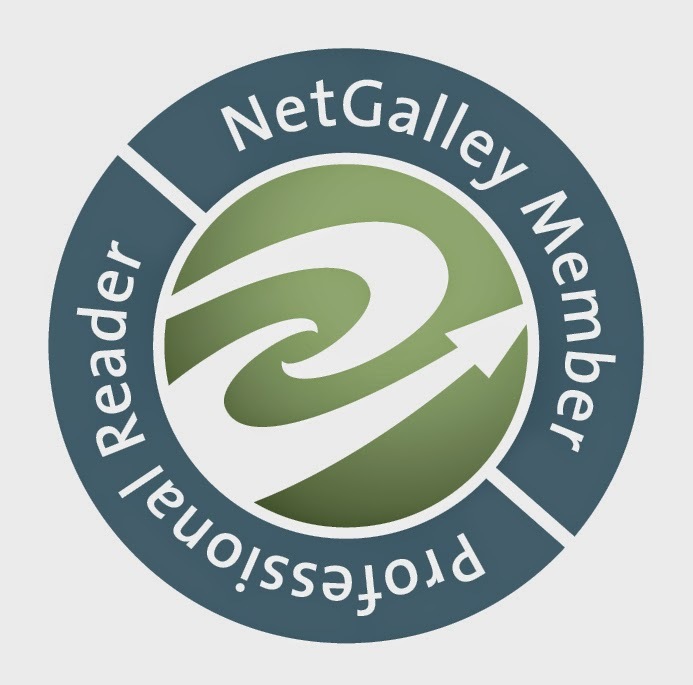 For my reading tastes, Kellie Coates Gilbert is in the top tier of authors who write contemporary Christian fiction, and she can hold her own with any writer that I've come across in the general market. 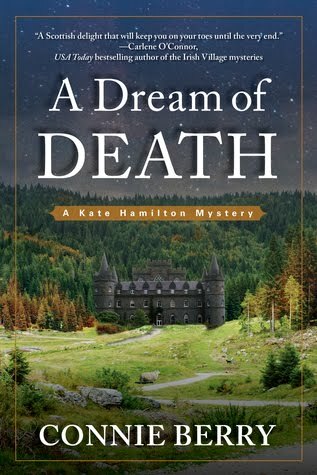 With deft writing that easily captures and holds the reader's attention, Kellie uses her knowledge of the legal system to unfold a "ripped from the headlines" type of story, evocative of John Grisham at times, and creates a vivid sense of the San Antonio setting. Where Rivers Part combines themes of corporate scandal and greed with emotional family drama, broken and restored relationships - and asks the question, Success at what price? One might think that the technical aspect of foodborne illness, food safety regulations, and ethics could be difficult to follow, but Kellie made this part fascinating and easy to understand. I doubt readers will be able to pick up a bottle of water without thinking of this riveting story. when it comes to safety." Juliet is a realistically flawed and complex character who grows both spiritually and emotionally - but often the hard way as a result of bitterness, unforgiveness, bad choices, and misplaced trust. One particular scene, where Juliet is treated to dinner at an exclusive restaurant and fed empty promises, made me think of Eve in the Garden of Eden and how easy it is to fall into temptation's trap. I admired Juliet and kept pulling for her as the story unfolds. There's also a minor romantic thread which contributes to a satisfying conclusion. My favorite character doesn't get a lot of face time in this story, but her influence shines throughout - and that's Juliet's mom. First of all, Carol became a Christian many years before this story opens in spite of family opposition, evidenced by these words of Juliet's father: "Carol, what sense does it make that a man died and then three days later he came alive again? That's scientifically impossible." I can't help but think of situations where, through the faith and prayers of one family member, seeds are planted that bear fruit through many generations to come. 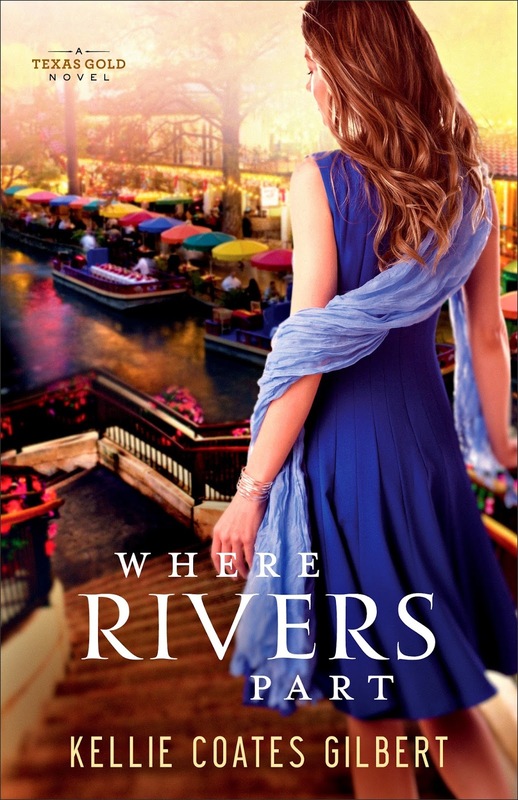 And Where Rivers Part beautifully illustrates the impact of Juliet's mom: "Her simple faith, her steadfast commitment to a man who didn't deserve her loyalty, her willingness to empty her own dreams to fill the needs of others. . . . Her mother was loved." "Do not be afraid, for I have ransomed you. I have called you by name; you are mine. When you go through deep waters, I will be with you . . . For I am the Lord, your God, the Holy One of Israel, your Savior." Where Rivers Part is a greatly entertaining and poignant drama, highly recommended. 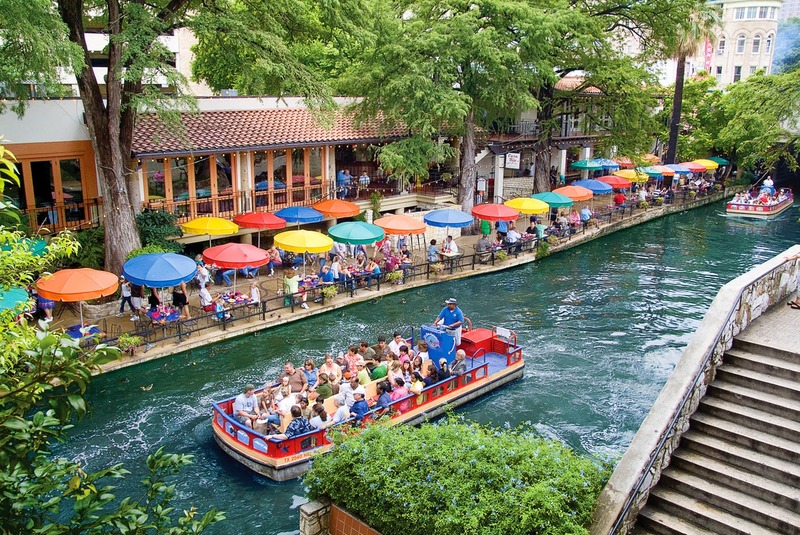 Where Rivers Part can be purchased online at CBD, DeeperShopping, B&N, and Amazon. Kellie Coates Gilbert is a former legal investigator and trial paralegal who investigated the largest cattle fraud case in US history. Her legal experience gives her an insider's view into how people react under pressure. Gilbert explores the complexity of relationships in her emotionally charged stories about women in life-changing circumstances. The author of Mother of Pearl, she currently lives in Dallas, Texas, with her husband. 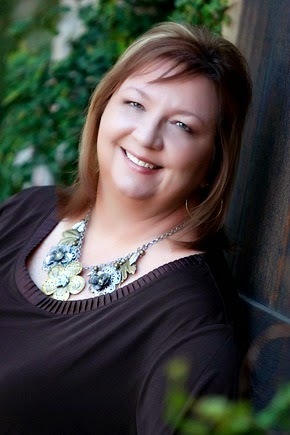 Connect with Kellie online at kelliecoatesgilbert.com, Facebook, Pinterest, Twitter, Goodreads, and Google+. Thank you to Revell Publishing for providing a copy of this book in exchange for my honest review. 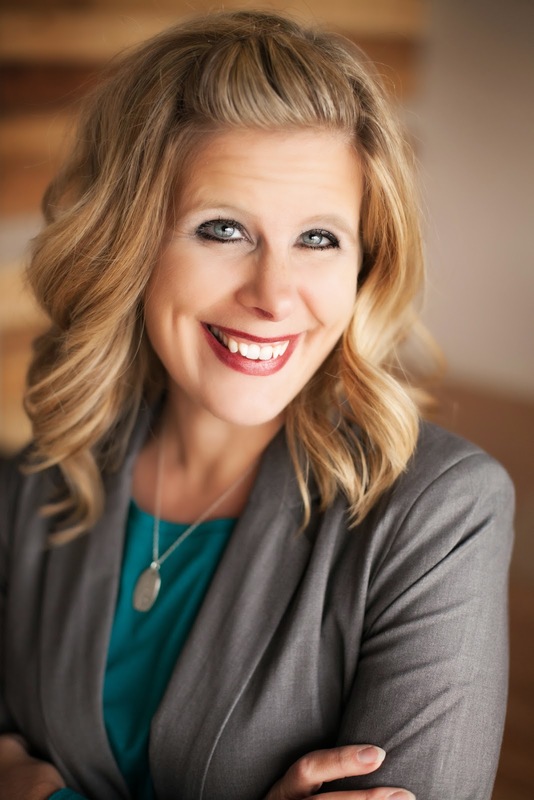 Exciting News from Amy Clipston . . .